he selected staff will appear in the Staff field. 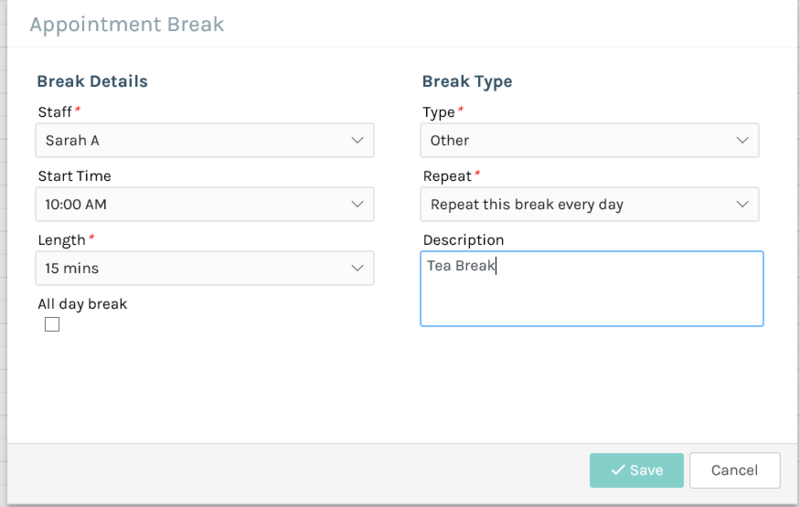 Select the Length of time for the break, for example15 minutes. 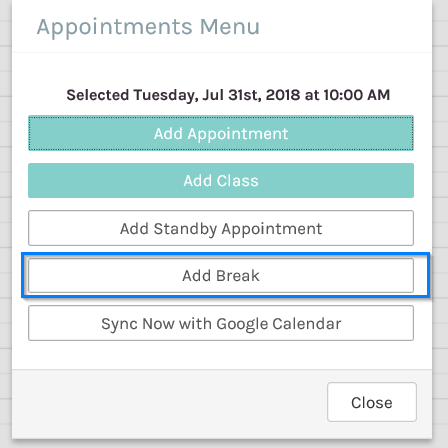 The break Type can be for Lunch, Leave, Sick or Other. In this example, we will leave it as Other , you can also Repeat this break every day or every week. Enter in a Description, for example Tea Break. Then click the Save button.